Tracfone Wireless, Inc. is a prepaid mobile virtual network that operates in US, Puerto Rico and Virgin Islands. There are over 90,000 store fronts, 25 million subscribers (2015), over 400 corporate employees (2008) and revenues in 2015 were reported as 6.9 billion USD. To reach Customer Service, call 1-800-867-7183. Find online ‘Talk To Us’ here. To write a letter to CEO, Frederick J. Pollak, address an envelop with Tracfone, Inc., c, USA. Corporate phone number is 800-876-5733. Tracfone is a subsidiary of Mexico’s largest telecom company, America Movil. Other brands include Page Plus Cellular, Wal-Mart Family Mobile, Go Smart Wireless, NET10Wireless and Straight Talk. Social support is found on Facebook, Twitter and LinkedIn. We purchased 2 phones from home shopping network. We were told that they could be unlocked after a year. They now refuse to unlock. They claim, since we bough from a 3rd party, the months on their plan did not count. We needed another year of service to be unlocked. They cheated me out of minutes. Customer service is nothing, they put you on hold and forget about you. The federal government has some type of action against them but they will not give you information. My wife loves HSN and I intend to complain to HSN but I doubt that they will do anything. I have been a customer of TracFone for many years now and have recommended you to many of my friends. Just recently I have had a problem and contacted customer service twice, and all I can say is your customer service department is in serious need of help! I have been in the business world for many years, in Human Resources to be exact, and if we conducted business the way your customer service department does, all of us would have been fired! I simply tried to adjust a bill and get a simple $19.79 recurring charge removed and it has been a nightmare! Just a while ago I talked to a service rep and was put on hold for close to 30 minutes, and eventually the phone call dropped off. NOW I HAVE TO START ALL OVER AGAIN EXPLAINING MY PROBLEM ANOTHER TIME TO SOMEONE ELSE! I just don't understand how this has turned into such a big problem. I will, once again, try another time to resolve this issue. I just needed to explain this to you so you are aware that some retraining needs to be done. Thank you for listening. And BTW, I half expected, optimistically of course, that someone MIGHT call me back since they have my cell # and my landline, but of course, that was wishful thinking. I will gather my strength and mental acuity and try again another time. My complaint is that this is supposed to be a no contract/hassle service. I bought a phone not even a month ago and activated service with Tracfone and wanted to change service providers... and was told that I was under contract for one year and had to purchase service each month for the year... uninterrupted! Then, and only then would they give me an unlock key! They have deceptive advertising mechanisms in place... What is their rationale for this policy... this phone isn't financed through them, it's paid for! Why can't I have my tracfone unlocked ??? 9802292843 … 3 days ago I misplace my phone, so I deactivate my service. Since finding my phone I have been thru HELL trying to my service reactived.. First I was told my IMEI did not match, I gave them the number off the back of the phone and the red card. Second I gave them the only 2 activation zip codes, I had in the last 8 years, neither was correct. Third I gave them the numbers off a new card for minutes and was told I needed a new phone and number. I chatted with feedback online im unable to go to a pay phone. I have been a Tracfone user for many years and Have Never Been Treated So BAD. I purchased another Tracfone because mine wouldnt hold a charge, the New Phone wouldnt work for me so I returned it on the 17th Of December and was told My replacement phone would be sent out, this is January 12th 2019 and still no Phone. I have talked to about 15 different People and Have got about the Same answer, which is your Phone has been shipped out (these are all your Managers from the Phillipienes). The first time, calling they told me they were sending me a smart phone,( which shocked me), I said Just send me my phone. I explained I am a Diabetic and Need a Phone because of my Health. They said, you will receive one in 2 days . This was the 20th of December, on the 21st I called they told me it was in process, they received my phone and give it 3-5 days. I waited and called on the 6th day and like I said talked to at lease 15 different people and received the same response. I need my phone. I am reporting this to the BBB and would like someone to look in to this matter that is HIGHER UP. My Ticket Number is 1194972753/1196244458. You Record all the conversations so You should be Able to LOOK INTO THIS!!!!! I have been a tracfone customer for several years and I have never been as disappointed as now. Tell me why you send out promotion offers and don't honor them. I recieved in the mail an offer if I purchased a one year card I would recieve 1300 total minutes with promo code 95322. When I applied the code it said call 18008677183, which I did. The 1st person named David after talking with me for awhile hung up on me, so I called back and talked to a Dewanna well that didn't go well either. To make a long story short instead of recieving the 1300 minutes like I was suppose to get I ended up with 800 minutes. Also in the mail an extra 40 minutes promotion code 73854 to use before the end of Dec. because of my birthday so I said as long as the first code didn't work try 73854 code for my birthday that code didn't work either. After being on the phone for over 1/2 hour and getting nowhere. I asked to speak with a superviser I was never connected. When my minutes are up I'm not sure if I will renew. Very very poor service. In trying to bring my own phone to Tracfone using the online process, all of my minutes, texts and data were erased. I have talked to about 8 people in customer service over the past 2 days. Even though I have a screen capture of the number of minutes, texts and data in my account as it showed on the Tracfone website before I attempted the transfer, no one wants to see that. Each day I have been told to wait 24 hours and call back. Meanwhile, I have no service on either my old phone or my new phone. I have been a Tracfone customer for 15 years and have accumulated 14000 + minutes. I used to recommend them, but I won't any longer. Even if they reinstate my minutes etc. in the next 24 hours this fiasco has ruined their reputation with me. It was so sad that I couldn't get not one person with a good attitude, to assist me with the help I needed. That's not government approved! It was so unprofessional of all 13 rep's that answered my call tonight. I called at 6:08pm, went on www.safelink.com and www.checklifeline.org three times. Completed the same applications over and over again and got no results to my solutions. At the very end and 11:00pm I was told in order to activate the replacement phone I had to still either WAIT 7-10 business days, when I've already had to wait 5-7 business days to receive this replacement phone, to get this new one activated.... That's evil, in if the government is handling business like this to older people. We all have to pay taxes, but you guy's president don't??? Cause gods eyes are on everyone!!! So I was at the end of the call when this rude lady asked for my card number, exp, name on the card and cvc on the back. I gave her all that and made sure she had it all right. She tells me it will be $15.00, when at 1st it was $10.00 for 200 mins and etc. that will last for 30 days. "I say,ok"! She came back to the phone and said your card declined..... I know that's a lie, so I say ok one minute. As I pull up my account online, little did she know, I was doing so.. I said,what declined? cause I'm looking at my account as we speak now. In there's completely no reason it should've declined????? "She said, hello, hello are you there?" I said, oh yes, I'm here, are you there? "She said again, hello, hello are you still there?" I said my phone is not on mute, I can hear you very well and I know you can here me!! She listened to everything I was saying after her replies, than she hung up the phone on me.. That's awful but I'm watching my account too... Now I have to go in get a calling card in the morning to load on my phone and call the corporate office in the morning, cause now I don't even need the free minutes.. they making money off us using their services, but act like they are giving it to us for free.. Ain't nothing free in this world! It's very few people with good heart's and godly, that will honestly help for free..
My phone said that i needed to insert a SIM card,when it all ready have one.when i talked to a person on the phone and he couldn't get it reset and told me to go buy a bring your phone kit. Why should i have to buy a new SIN card. Worst company I've ever had to deal with. What a total waste of time even trying to talk to them. I was connected to an overseas office with 5 different operators. Not one was of any help. I finally contacted someone in Miami (Mary?) who hung up the phone when explained my issue. I called back and an extremely rude operator connected me to a supposed supervisor I could barely understand. My issue was never fully resolved. I wasted almost two hours with a bunch of untrained, unhelpful @#%@#s. I think it's time to switch to a better service. I never want to have to deal with this company again! 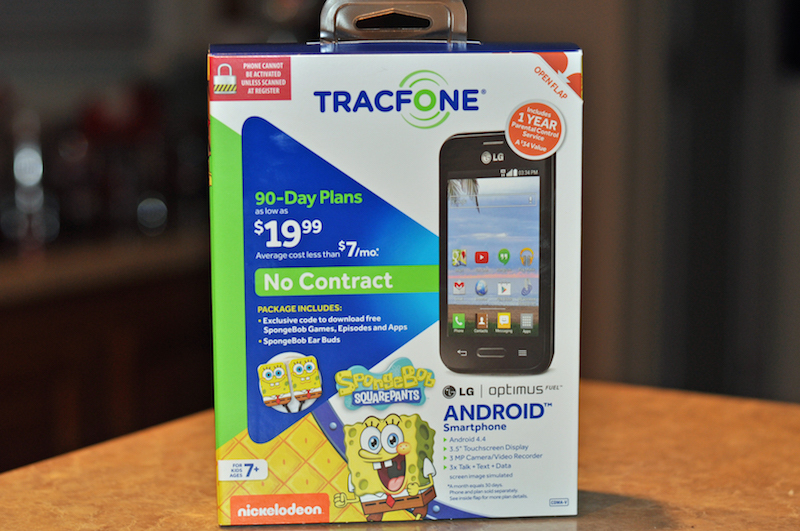 No one should ever be treated the way TracFone treats its customers! With any luck you'll go out of business and do everyone a favor! I ran into a problem switching my service from my old LG phone to my new Motorola phone. When my new phone did not start working, and the old phone did not stop working, I called customer service. I warned the customer service tech Melanie that I was quite technologically inept right up front. She spoke with a quiet tone of voice, with a regional accent (possibly New Jersey?). I repeatedly had to ask her to speak up, and to repeat herself. Did I say REPEATEDLY?!!! At one point after she had begun speaking in an irritated tone of voice, I told her that if she continued getting irritated with me, I would hang up and call back in. That helped with the tone of voice. We finally got the problem resolved and checked that all systems were working properly. I did terminate my call with Melanie because I was already so stressed out with dealing with technology and a new phone that I was not quite familiar with, that I didn't want to start over with someone else. I normally just hang up and start over with a new customer service person. Melanie needs to learn to work with people who are not terribly familiar with technology and with a new phone. She needs to drop the attitude! Since I became a TracFone customer I have been unable to have my caller ID changed to "Paul Mendy". I very much want/need that change to be made. Please have my caller ID updated!!! Prior to joining TracFone my phone number was part of my son-in-law's multiple line ATT plan. When I decided to change my phone service to TracFone I transferred my pre-exiting phone number (716-430-8055) to TracFone. Shortly after that change I was told hat the caller ID showed my son-in-law's name (Brian Mastrangelo). Since then I have repeatedly tried to get the caller ID changed to my name via calls to TracFone Customer Service. In each case I was told it would be taken care of only to find out that it wasn't changed. Please do what's necessary to make "Paul Mendy" my caller ID. Also, when I call Tracfone customer service I end up talking to offshore phone centers. Today, on 3 occasions, I requested a customer service phone number for a call center in the United States. In each case I was put on hold and eventually the call was dropped or recycled to the original phone menu I called in the first place. It is my understanding that I have a right to request customer service center in the United States. Why wasn't I given a US contact number? still showing no service.....I had minutes and tons of DATA I also want restored. There is no active CHAT service. I can't call anybody to get my service restored, I can't get another phone to call Customer service....this is my only pnone!!! I asked representative to reconnect old phone....Phone still dead SOMEBODY PLEASE HELP ME!!!! I can't call for a ride to go to my surgery appt, or get help from FIRST RESPONDERS IF I NEED HELP!!!!! I HAVE HAD THIS PHONE FOR AT LEAST A DECADE BUT I HAS COME TO MY ATTENTION THAT MY DOUBLE MINUTES HAS SOMEWHERE ALONG THE LINE QUIT HAPPENING BUT THE PEOPLE IN CUSTOMER SERVICE DO NOT HAVE THE SKILL TO LOOK BACK AT WHY IT HAS DISAPPEARED OR HOW TO FIX IT BEEN A CUSTOMER ALONG TIME NOW GOING TO CHECK OOT OTHER CARRIERS WOULD RATHER SIOMEONE LOOK INTO THIS AND FIX IT , SINCERLY BRIAN CANOVA 540-305-7043 ALSO SPEND HOURS TRYING TO ACTIVATE VOICEMAIL THEY ALSO COULD NOT HANDLE THIS. I have had TracFone for 2 or three years. I have bought minutes when needed. The last time I bought minutes they were added as usual. Then I got an email that I needed to pay for a service plan to be able to use these minutes. Nothing has ever been mentioned about this service plan in the last two years. They never said anything about it when they took my money for minutes I now can't use I am on social security and I plan out my payments so everything can be paid Giving me two days notice doesn't cut it. I now have a useless phone and useless minutes. My phone is locked and trac phone won't unlock it. Is there anything that can be done. If I reluctantly pay a service plan from you next month will my minutes still be available for me to use? numerous attempts to reboot both phones failed, as soon as the home screen appeared, it went black each time.Thinking back about something that I heard on the internet, stated that in late October or early November the U.S. Gov't was going to disable certain android phones and the the owners would never be able to use them again. I contacted Tracfone after both phones failed and spoke to three different Techs and one supervisor. None of them had a clue. I rate Tracfone as a one on the scale of 1 to 5 and would rate it lower than that if I could ! I ordered a fone order number12959646 over 10 days and yet to receive it. Fed ex claims to have come by and could not leave order. I watched the van pull across my drive and pull away without coming to my door and leave no message or anything and then post it as no one home. They claimed this for 4 trips and then stopped coming by. Calls to FedEx were useless. I am Fed up with FedEx.I'll never use them again.See if u can find my order and ship it USPS or ups please. Tracking number 652024372687932. If i ever get maybe I'll order again. I am writing this letter to explain why, after twenty years as your customer, I am no longer. On August 21, 2018, I received in the US Mail an ad titled “Come back to TracFone today” and offering me an amazing offer. I ignored this offer because I never left TracFone. The next day my phone was deactivated. I had 237 minutes and 130 day service on my phone at the time. Over the next six business days not one of the ten people that I contacted could tell why it was deactivated. Here is the time line of what transacted over those six days. 8/22/2018 – Called 1-800-867-7183 at 5:30 PM and explained the problem that my phone had no service. I was told that my phone was deactivated. I asked that it be reactivated with my phone number 309-868-6119. After 45 minutes with this person I was told that it was not a good number and I was transferred to Gary. I asked for his telephone number 1-866-806-1840 in case I was disconnected. After 30 minutes with Gary he was unable to help me because there was no record of my number so he was “going to elevate this problem to a higher level.” I asked him for that phone number but he said that their policy was not to give extension numbers within their organization, but he would transfer me. I received a busy signal and had to hang up and start over again with the 1-800-806-1840 which was a different person so I had to start the explanation all over again. Now it is 6:45 PM and I was connected to Barry. I don’t know his phone number because of company policy. I explained that I wanted my phone reactivated with my 309=868-6119 number. He was very helpful and after some time he was able to activate my phone. I called my wife to make sure that the phone worked, it did. You would think my trouble was over: but no it was not. Barry activated my phone with a different number 309-868-4808. I did not have Barry’s phone number so I had to start all over again. Now it is 7:00 PM and called again 1-866-806-1840 and asked to talk to the supervisor. He was no help but did transfer me to Belshazzar. Now I thought I was getting somewhere. I did get his phone number 1-800-626-4883 Ext 3324. He was going to write a report explaining my request and send it to a higher level. I would receive a notice via email within 24 hours. If I did not receive notice call him back. August 24, 2018 7:00 PM. The email did not arrive so I called 1-800-626-4883 Ext 3324 and Barry answered the phone. Things did not go well the last time I talked to a guy named Barry so I asked for his supervisor. He never heard of anyone named Belshazzar or any report so He transferred me to Carlos and he was no help. At this time I may have mentioned that I was going to get my phone activated with my phone number of 20 years even if I had to call your Vice President. He transferred me to Roth who said that she was at the Corporate Office. Roth transferred me to Joanna. Now I was getting somewhere, she at least must have read Belshazzar’s report because she did not have me start over again. After some systems inquiries she came up with a solution. A new SIM card would be mailed to me within five working days with instruction on how to activate my phone. She gave me a problem ticket number 1189539589 to reference in case there was a problem. I received the new SIM card the next business day. It was great service. It looked like I was going to get my phone working and my old phone number. August 27 3:00 PM Enclosed with the SIM card was instructions titled “Wonderful News your SIM card is her.” It instructed me to call 1-800-867-7183 to activate my phone. I was so excited that I did not ask the ladies name that helped but there was a problem. She said “another department would have to join my Phone number 309-868-6119 to the new SIM card”. It would take 24 hours and please call back. August 28, 2018 4:00 PM. Called 1-800-867-7183 again I did not get the name of the contact, I was going to get my phone back. No record of that phone number, no record of my phone serial number. I asked to talk to her supervisor. Jayean informed me that my number was being recycled and could not be issued because it had been used by someone. I was getting quite angry now and told him that, that someone was me. I then said very excitedly that I was going to get my phone number back if I had to go to your Vice President and his reply was, “I am as high as you can go.’ I told him that TracFone had just lost a customer and I was going to tell everyone I know including my new service provider, Verizon, about your customer service. Around July 12 I contacted Customer Care Services at TracFone to have my phone reactivated. At this time I was told that it need a new Sim card which I received on July 16. It turns out that it did not work. I was told on July 16 that a new one would be sent out and never was. Again around the July 23 I called only to discover that they would send out another one. Again not done. On Aug 4 again I was told that a SIM card would be sent. Each time I was given the same ticket number. I feel that it is time that TracFone send out the new SIM card next day at there expense. I am very discouraged over all this. I currently don't have a Cell Phone. I am tired of hearing the phrase " SORRY FOR THE INCONVIENCE". The time has come for TracFone to get my phone working properly again. I purchased minutes from you 21 hours ago. The minutes and days have not been put on my phone yet . I have tried to speak to someone on a phone and only get recordings that do not help me . I am not very happy with this . Please have somebody contact me very soon . I am a 79 year old that needs this done . My home phone is 518 297 7392 . My cell phone is 518 6452283 .I will be waiting . Since BYOP SIM cards are no longer available in Billings, Montana; I ordered one from the TracFone store. I needed this SIM card so I can transfer my TracFone account to a new phone. After waiting over a week the new SIM card arrived. I then called TracFone to activate my account on my new phone, which is an unlocked Verizon phone, I was told my SIM card number was not valid. The number is 89148000003669528833. I don’t understand.... I ordered the SIM card from TracFone. My order was accepted and verified by TracFone. As I did not get a tracking number, I called TracFone and the order was again confirmed and I was given the tracking number. When the box arrived the return address was TracFone Store. The enclosed SIM card was packaged in a TracFone card with the TracFone logo. In fact the packaging was identical to three other SIM cards I had ordered and received that worked fine. Then why is it not a valid number. So, I ordered another SIM card, today,with no assurance that it will work. It would sure be nice if I could just take the SIM card out of my old phone, which I know works, and put it in my new phone. As it is I have to hope my old phone lasts until the new card gets here in eleven days and then hope that it works. First complaint I contacted tech services not only were they extremely hard to understand and of very little help Zero. But she wanted to change my phone number which would have made things worse for me and not helped. I bought a new card on Thursday Sept.28th, 2017, for 60 minutes, paid $19.99, I got home & entered the numbers off the back after scratching off the protective film, as I have done for the last 10 yrs or so that I have been using tracfone svs, & it did not take & give me my minutes or days, so I called & finally got a person, after one disconnecting me...told him what happened, gave him the new set of #'s, he got them working & they appeared on my phone, so I thought it was taken care of. Then yesterday, Sunday the 1st day of Oct...I used it & all was ok....until yesterday evening & when I went to use it , it said "Activation required", all my contacts, #'s, everything was deleted from my phone...so I called again today, I was on the phone total for over an hour, on hold, till a person, named Michelle, came on & I explained what had happened & she said hold on she w/chk it out....waited another 20 minutes until a recording came on & I did not understand it, telling me to make a copy of my battery, sending a letter of some sort as this was my phone etc??? I am very disgusted with Tracfone, have never had a problem until this year, & this happened maybe the last time & had to call for them to put # in manually. I am an honest person & I want my phone activated back up or someone to contact me with a reason why this has happened. My cell # is 304-543-8259. Every time I refill my minutes I lose them without making or receiving calls. It is always 5 min here then maybe ten minutes a week later. I know how much time I'm using . My next step is contacting BBB! And maybe just dropping your service. I have an older Trac Phone. When I called, I was told that if I purchased a refill card, the phone would work. I purchased the $20 card and installed it. IT DID NOT WORK. I called ELEVEN TIMES before I was told that the phone had been deactivated ? The 12th time They tried SEVEN times to give me a code to put in the phone. Same response every time " invalid Code-6. The person spoke with her supervisor, cmae back and said the phone would work now, despite my concerns that it could not possibly work, and the phone says service disabled now. There was over 586 minutes on that phone and the $ 20 card I was duped into buying, Not to mention the loss of all my minutes on the phone used to try to get this one to work. One supervisor told me not to hang up, he would be back, and thirty minutes later, he did not. I find it a little hard to believe that a company could operate this way, knowingly. I would greatly appreciate it if this matter could be resolved, at your earliest convenience. Now I have TWO PHONES t6hat do not work. I am also disabled on a very limited income, and continually buying minutes and phones is out of the question. It also states that I must attempt to contact customer service before a formal complaint with Arbitration. I would assume the 12 calls would qualify as trying to contact customer service..
On 3/17/2017 I purchased minutes online.The total on the order summary came to a total of 93.38 (transition no. 1210076911) However when I got my credit card bill I had been charged 109.69 I immediatly called customer service 1_800_867_7183 and talked with an agent for 15 minutes,and got no where. I then asked to talk to a supervisor and got no reply for another 10 min. Then I hung up. I had Tracfone service for many years and never had this kind of problem.If I authorize a payment with my credit card I expect to just pay that amount. Tracfone gives the worst customer service I have encountered. When calling to add airtime the associates are like robots- not helpful at all. It takes up valuables time arguing with them about buying airtime. It was a nitemare calling for airtime. I think that the company with do itself a favor by better training and making a purchase call easier for customers. They do not care to help people at all. I am throwing phone out and going to go elsewhere. I am sick of fighting with TracFone billing department over my minutes. I have put in several calls to their support number and they still cannot resolve this dispute. I was supposed to get unlimited minutes. Bought new Motorola Moto E Smartphone for TracFone service (from Amazon). Transferred minutes from old basic Tracfone to new phone, then activated the new phone with customer service rep "on air" activation, Then added additional minutes for a total plan minutes of 1365 minutes on 7/10/16. As I'm on vacation, few calls are being made or received. Only one voice mail in my log. On 7/23/16 pm, I noticed a significant decrease in my account minutes. It was showing less than 1100 mins remaining. I called the TracFone customer service number & reported the issue. They advised I keep a journal to track my account closely. I did that. Twenty-four hours later mins had decreased 55 minutes, with the only phone use being 2 texts. I called this 2nd time & again reported. They changed some acct settings & had me "re-activate" the phone. The next morning, the call minutes had decreased 28 minutes, with no calls made, nor received. I called 3rd time, and a tech guy had me test the phone by sending myself a text. I sent myself a text, and when we reviewed my account my call minutes had gone down. He again adjusted account settings & had me re-activate the phone. The following morning, my call minutes had decreased 33 minutes, with no calls made, nor received. Phone now showed 978 mins remaining. At this rate the phone's minutes will be zero in 30 days, without making, nor receiving calls. I transferred the remaining minutes back to my old basic phone. TracFone has replaced/credited my min for 30 minutes. Their tech support is not adequate, and their concern for long term customers is non-existent. I've been a TracFone customer for 10+ years. Never had this poor experience before. What's really sad is I've completed three 'experience surveys' with them, detailing the problem encountered, and they've yet to respond in any way to them. I got ripped off and bought a new TracFone and they took away all my minutes and texts and told me I had nothing to transfer. I just wanted to share my feedback online, since the they are liars and scam artists. If you are considering a low budget phone, do not buy from TracFone! I am 75 years old I purchased a Tracphone to be shipped by FedEx I called at 8:00 P.M. on Tuesday to find when my package will arrive. I called at 8:00 A.M. on Wednesday today to find out. After many call check your records I was told the Driver would call me. After another call I was told his Boss would call me. It is now 2:01 P.M. I feel I should not have to pay for this shipment. I would not recommend FedEx to anyone. You have no respect for your customer. I know you won’t do anything, but if you do I would like a explanation to what happened. FedEx as a company in all my years is the worst.